Open Up: Museums for Everyone began in 2017 at the initiation of the Association of Independent Museums (AIM) in partnership with Arts Council England, Heritage Lottery Fund, Museums Association, Museums Galleries Scotland, National Museums Northern Ireland and the Welsh Government. The project and resulting resources were designed for the use museums of all sizes to increase the diversity of their visitors to make real and lasting change in the museum sector. Co-created with twelve pioneering museums, the new resources can be downloaded in PDF and are available in English and Welsh. AIM’s Director, Emma Chaplin, said the Open Up resources offer new, inspiring and practical ways for museums to broaden their relevance and appeal to attract a more diverse range of visitors. 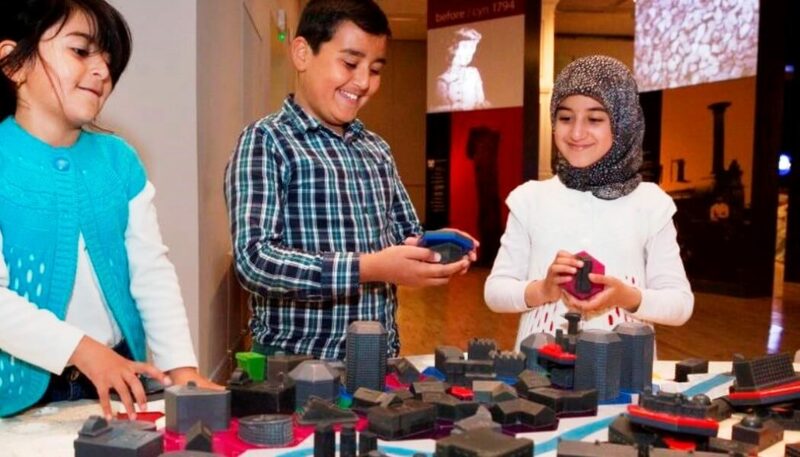 By working with the participating museums, the project captured stories of change and identified the factors of success that have led to museums significantly diversifying their visitors and the questions that they regularly ask of themselves to continue to improve. Derby Museums, Beamish Museum, Museum of Cambridge, Glasgow Women’s Library, Black Country Living Museum, Whitworth Art Gallery, Cardiff Story Museum, Colchester and Ipswich Museums, V&A, National Museums Northern Ireland, National Museum Wales and National Museums Liverpool. The Open Up: Museums for everyone project, resources and website have been made possible thanks to funding from Arts Council England, MALD (Museums, Archives and Libraries Department – Welsh Government) and National Museums Northern Ireland. Julie Aldridge Consulting led the study and the Guide is written by Julie Aldridge, Mel Larsen and Pam Jarvis and co-created with 20 museums across all four countries of the UK. Sign up for further information and support as it becomes available.